Welcome! 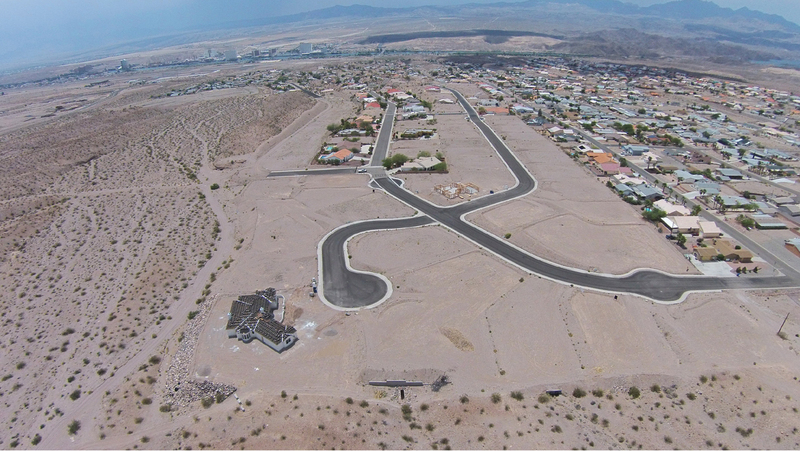 Pegasus Ranch Estates Unit 4 is a Subdivision located in Bullhead City Arizona. Residential Homes Only Community with 36 residential lots. Construction of new homes has already started. Lots available to build "Your Custom Home". Located close to the Colorado River, Lake Mohave and Laughlin Nevada Casinos. Enjoy the amazing desert style living - boating, fishing, water activities, off road ventures. Awesome Views of the Casino Lights, Colorado River and surrounding Mountains! Looking for a Custom Lot to purchase. There are 12 residential lots remaining For Sale!!! Build now or later. You can choose your own builder. Minimum 1400 square feet living area for homes (CCR's). Parcels can be combined. View Lots! Streets, Curbs and Sidewalks are already completed. Subdivision Utilities: Mohave Electric, Southwest Gas, EPCOR Water, City of BHC Sewer/Wastewater, Tri-State Refuse Garbage Service, Frontier Communications Telephone- Internet-Dish TV, Public streets/roads maintained by City of BHC. Bullhead City continues to be most affordable city in Arizona according to the Cost-of-Living Index first quarter 2017. "Bullhead City is affordable and continues to attract new residents because of its affordability factor" stated Bullhead City Manager.